Mid-19th century repro 1: Southern belle ( "Gone with the Wind" ) styles. Most of these dresses can be, or are designed to be, worn off-shoulder, and have room for a crinoline or hoop petticoat. Some are recent, some are vintage reproductions. Continued on next page. 19repro1 About size 8. Allowing for breathing space: bust 82cm, waist 71, underarm to waist 20, waist to hem 122. Bright-white satin-look polyester. The skirt has two layers swagged to fabric roses, over a tulle layer. See ChD10 for suitable flowergirl dresses. $170. 19repro2. About size 10. B 95, waist 75cm. 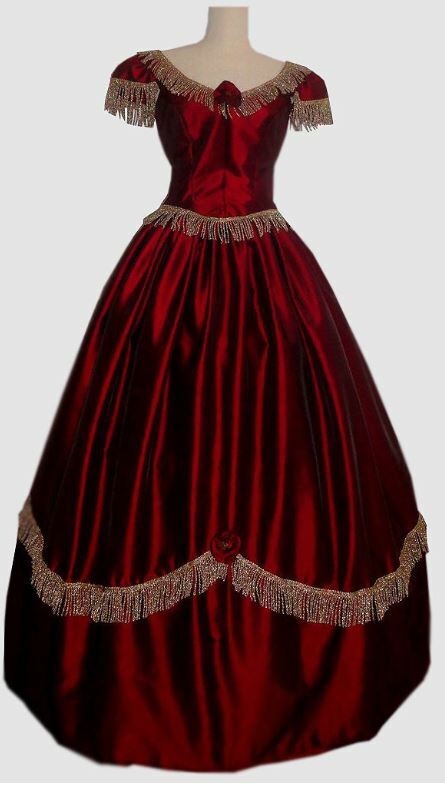 New two-piece mid-1800s-style taffeta ballgown. Photo over hoop petticoat. Purchase $185 without petticoat. 19repro3. New. About size 10-12. B 93-100, W 76-84, length 114cm. Satin dress with drawstring skirt, white cotton underskirt with tiers of ruffles. 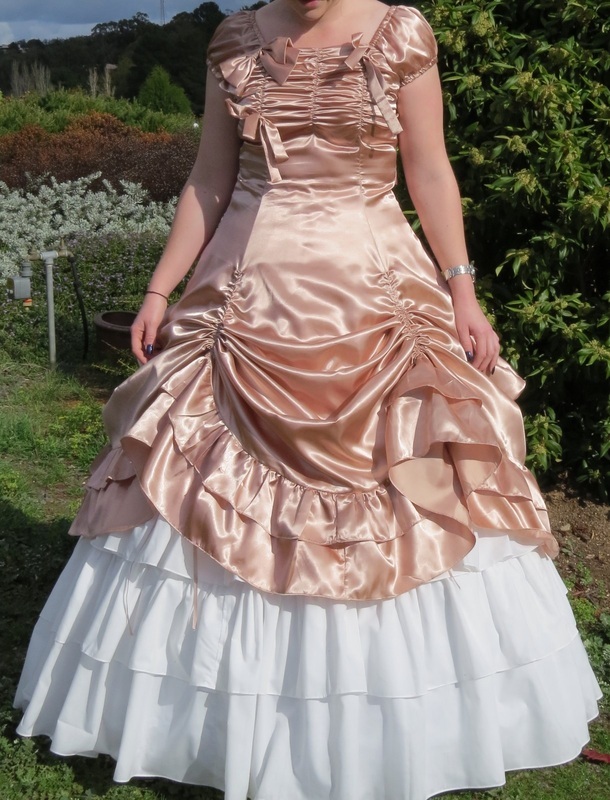 Photo over 5-hoop petticoat Purchase $160 without hoop petticoat.